Nike Air Force 1 "Saturday Night Live LeBron"
"There were like two or three different pairs of the SNL LeBrons, but these stood out. They went from black to yellow to red and had the same lasering as the neon LeBrons. On the back of one foot, these have 'King James' and the other has the lion's head. 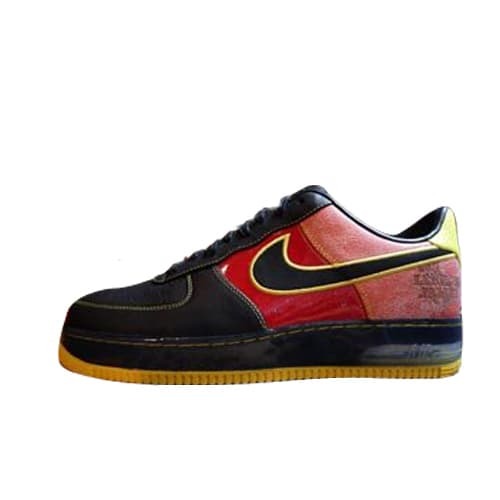 This Air Force 1 was one of the first PEs to have the visible Max Air bag. The only other time I saw these was a pair I saw in Flight Club for like $2,000."